More than any other popular art form, comics are sensitive to the formats, platforms, and devices that connect them to readers. How can this unique medium communicate content effectively when all assumptions about its form are up for grabs? And how can comics techniques inform other types of visual communication on the Web? Author and comics artist Scott McCloud puts a blizzard of new trends into perspective in a fast-moving visual presentation. About Scott: Scott McCloud has been writing and drawing comics since 1984. His books Understanding Comics, Reinventing Comics and Making Comics are available in 16 languages. McCloud has lectured and consulted for Google, MIT, Pixar, Stanford, and the Smithsonian Institution. 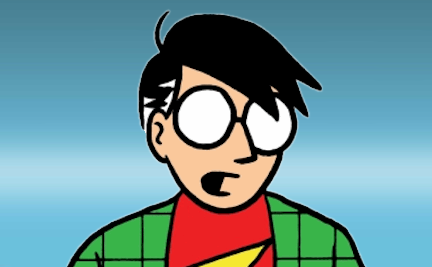 His online comics and inventions like the 24 Hour Comic can be found at scottmccloud.com.